There is this closet underneath my stairs. 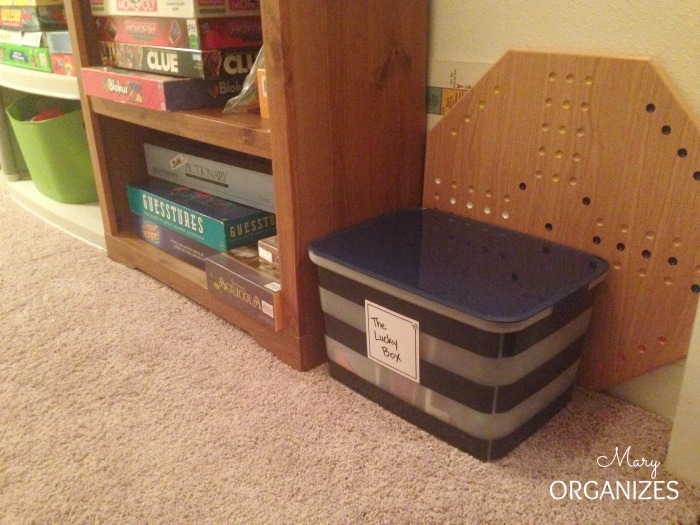 It holds all of our games, puzzles, and kid art supplies. 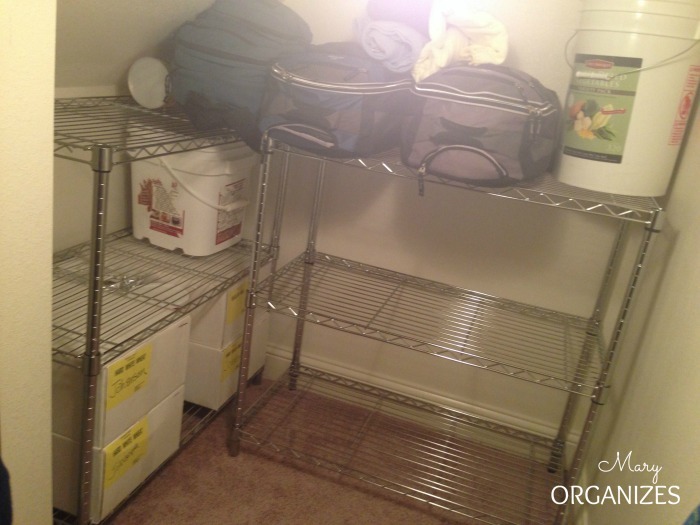 Around the corner of the back of the storage closet is where I store our 72-hour emergency kits and a little bit of our long-term emergency food storage. 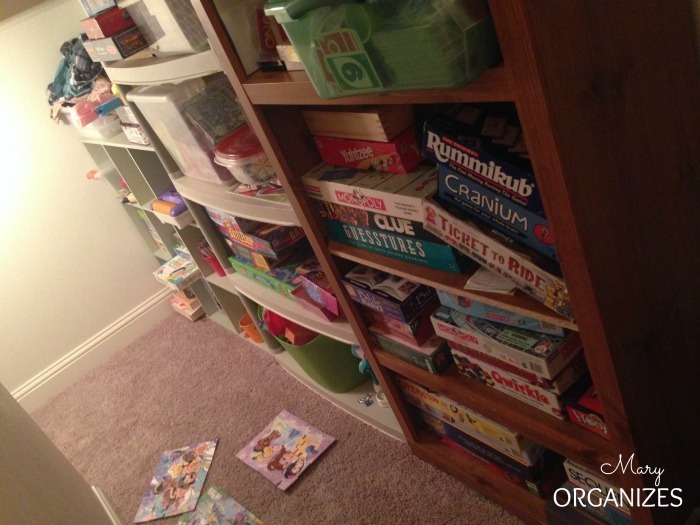 I wanted to organize the back area and create more storage space. 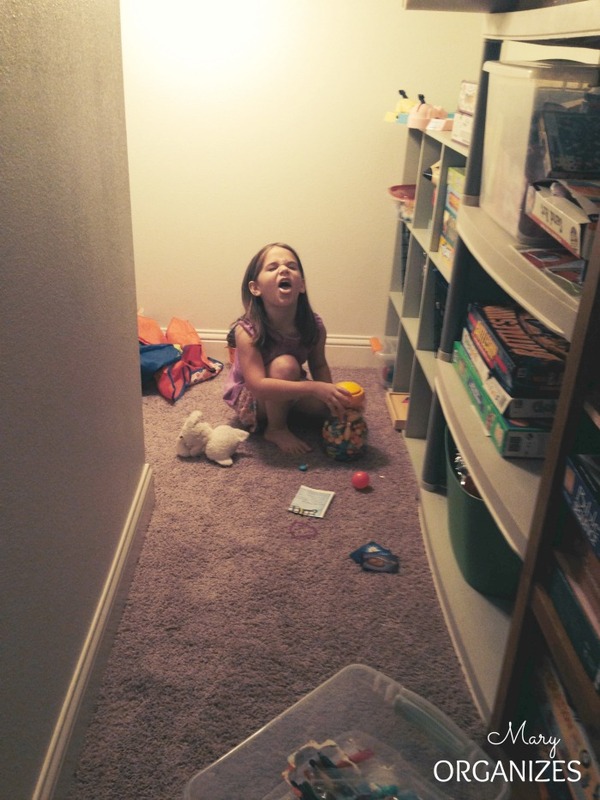 As for the shelves that were already there, they just needed a good de-junking. 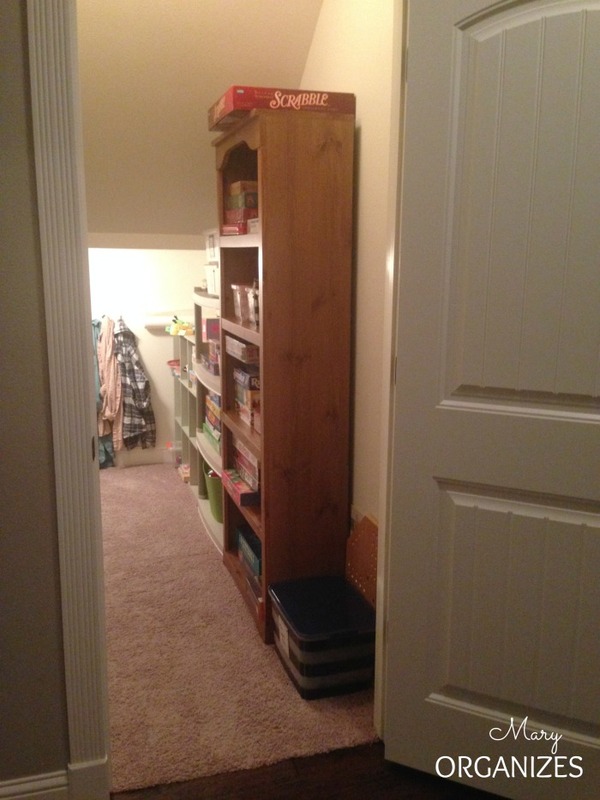 The shelves are mismatched, but when we moved into this house, I already had those three shelves that spanned the heights of under the stairs. It just made sense and I can’t rationalize the expense right now of changing them out when they’re working just fine. Here is what it looked like before I spent some time working on it. The pictures make this point obvious, but I still feel like stating: I am terrible at taking dark closet pictures. Forgive me and try to imagine pretty magazine-lighting. 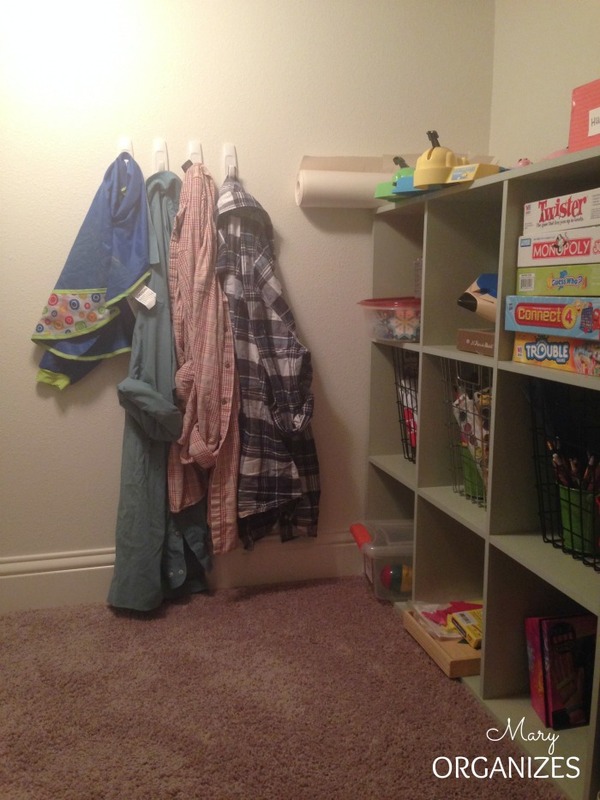 It isn’t the worst closet ever, but it just needed some attention. This area is just a ton of wasted space. 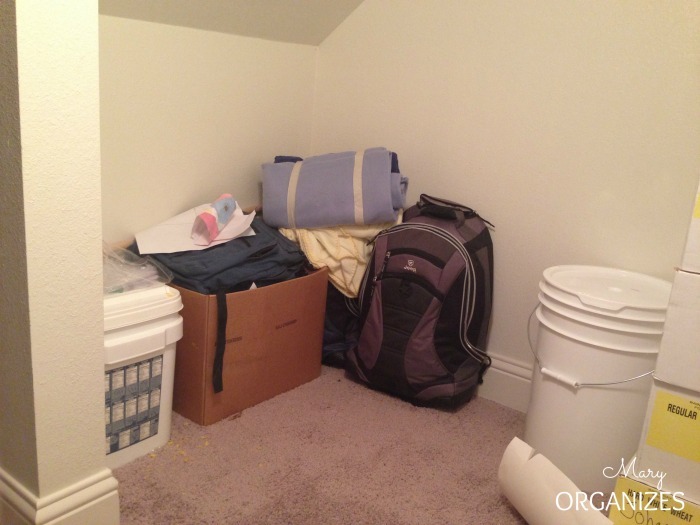 The stuff I mean to store here is here, but this space could really be optimized. Here is all the junk we pulled out!! Gone gone gone!!! And here it is now! 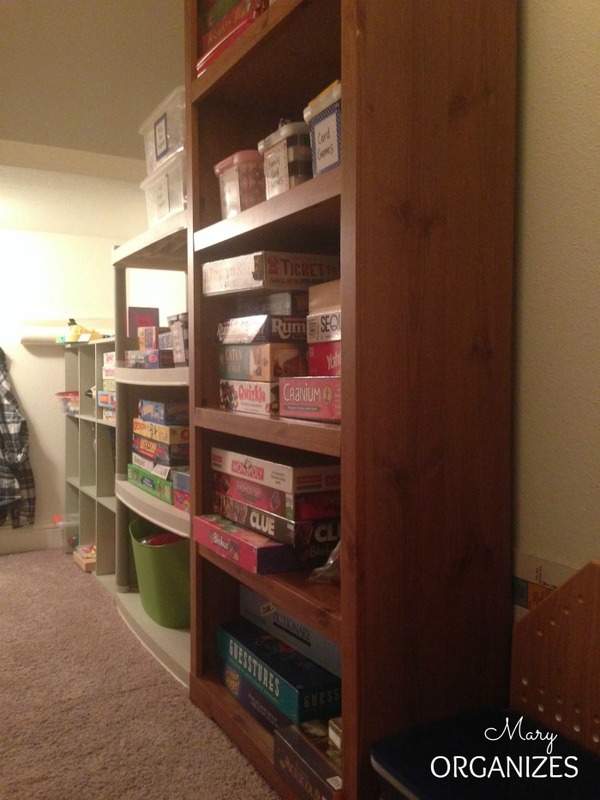 I’m really happy with how the shelves in the back of the closet turned out. I also added labels to stuff and hung up the art shirts. 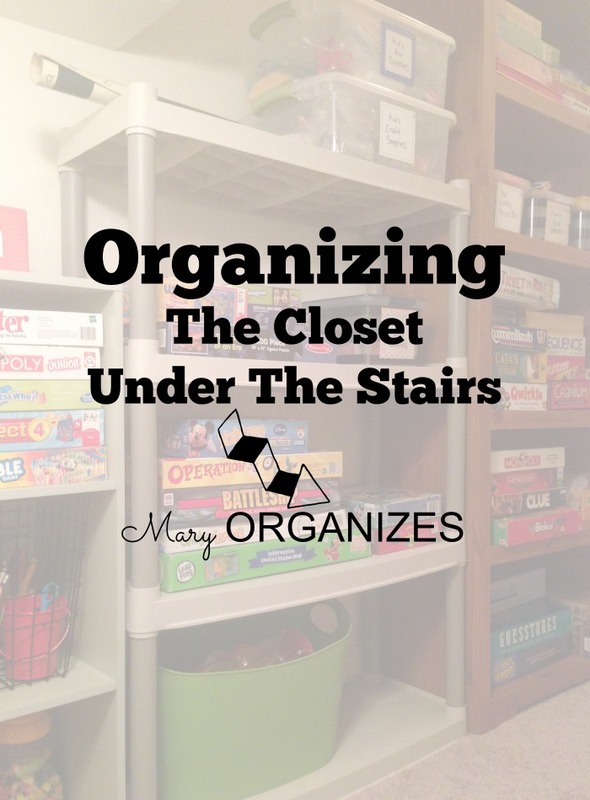 A tidy closet under the stairs!! Added labels. 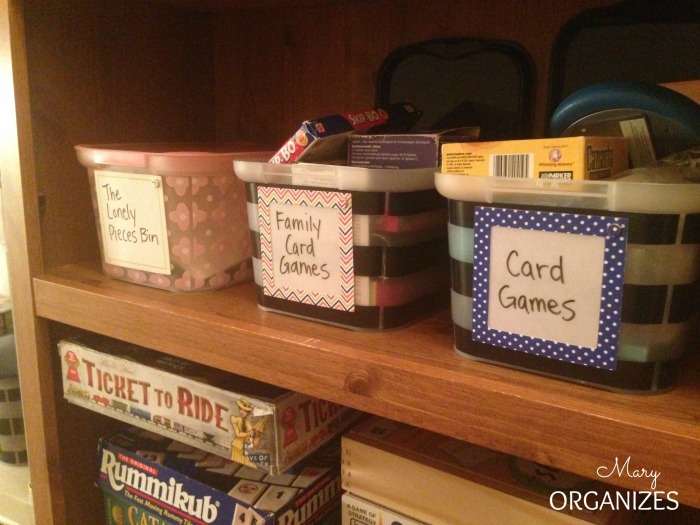 Created different bins for the card games. 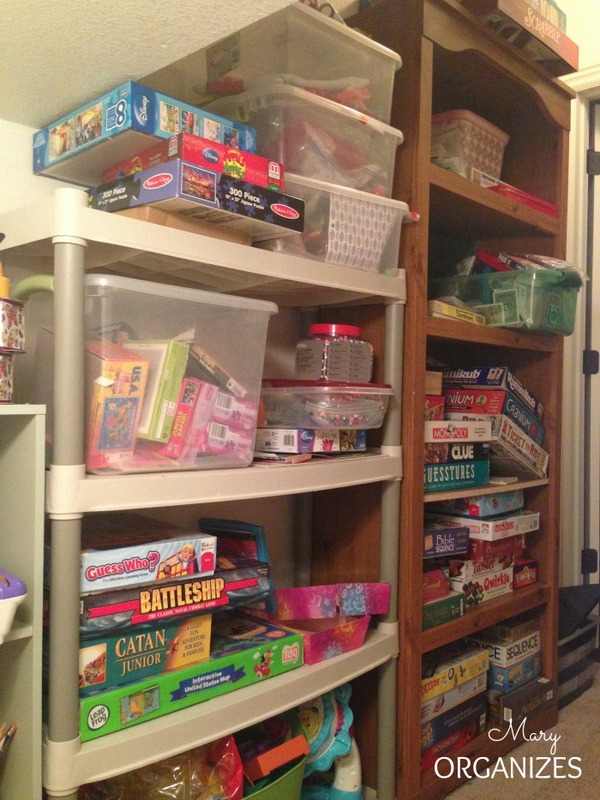 There is a kids card games box on the other shelf next to other kid games. Labels with dry erase. Awesome, awesome. 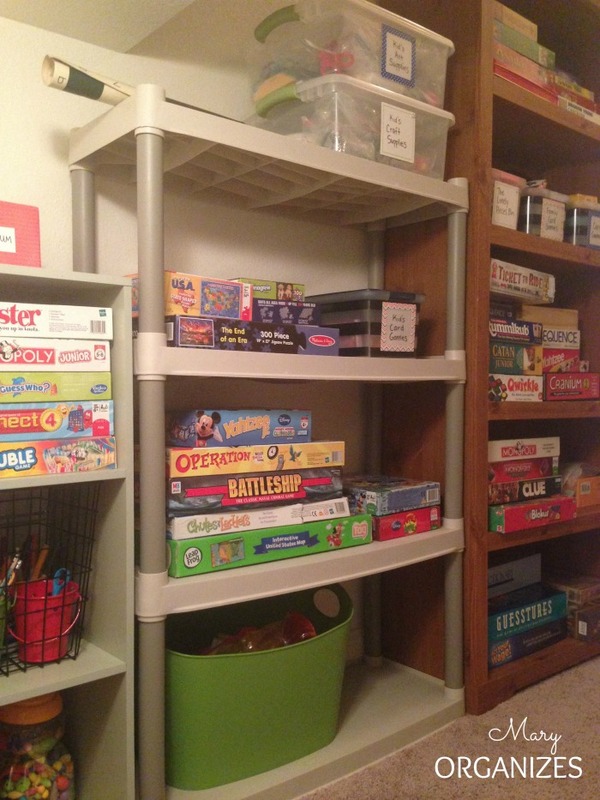 This was my favorite shelf to organize, because I love the new wire bins that fit into the cube shelves. One for painting supplies and one for art supplies. Hung up the art shirts on little hooks. So much better than having them crammed into a basket. This space is way more functional. 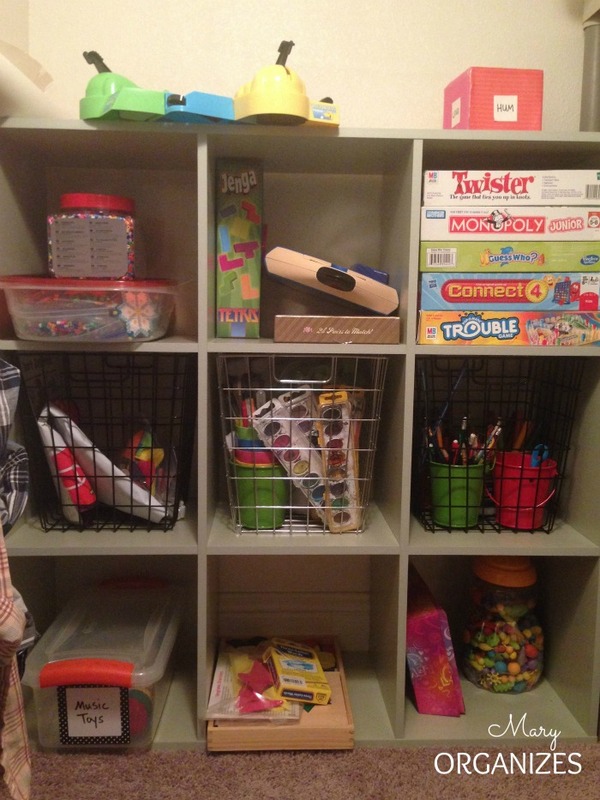 The simple addition of the shelves multiplied the amount of storage!! 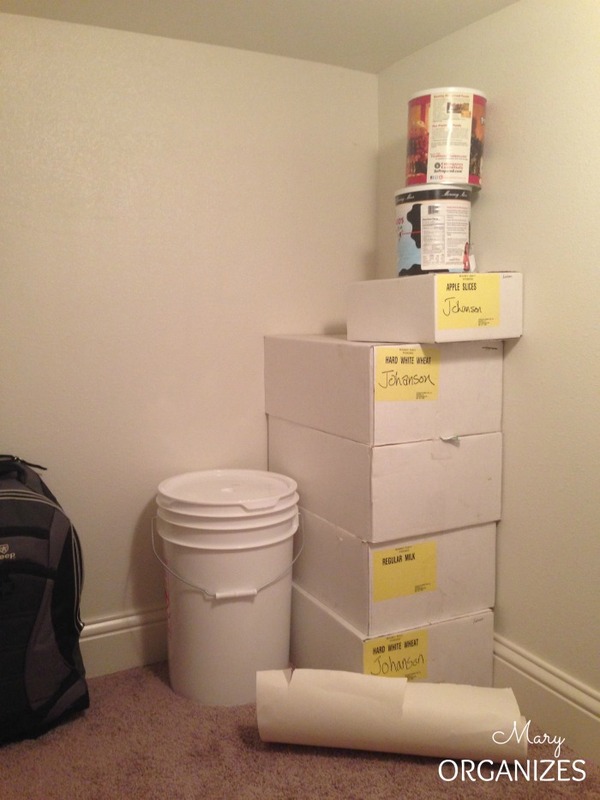 I already know what I want to go here, more emergency preparation and long-term food storage items. 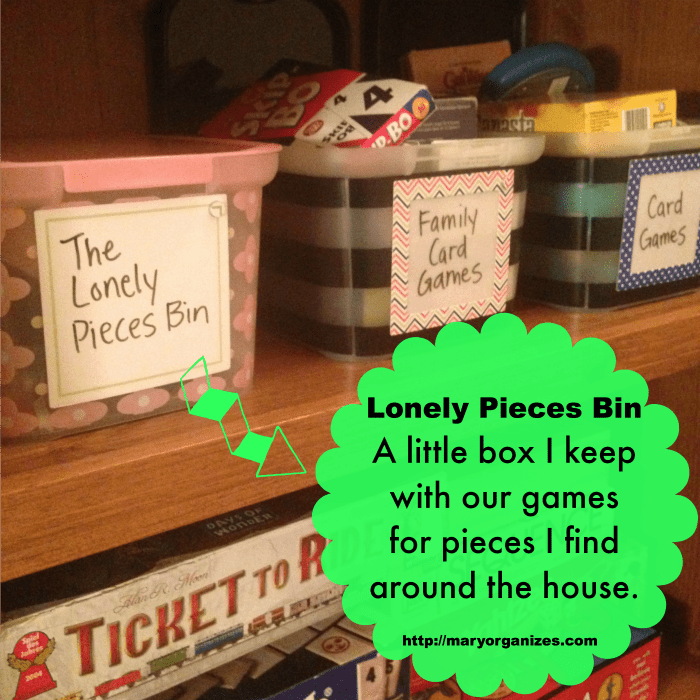 Here is our “Lonely Pieces Bin”. 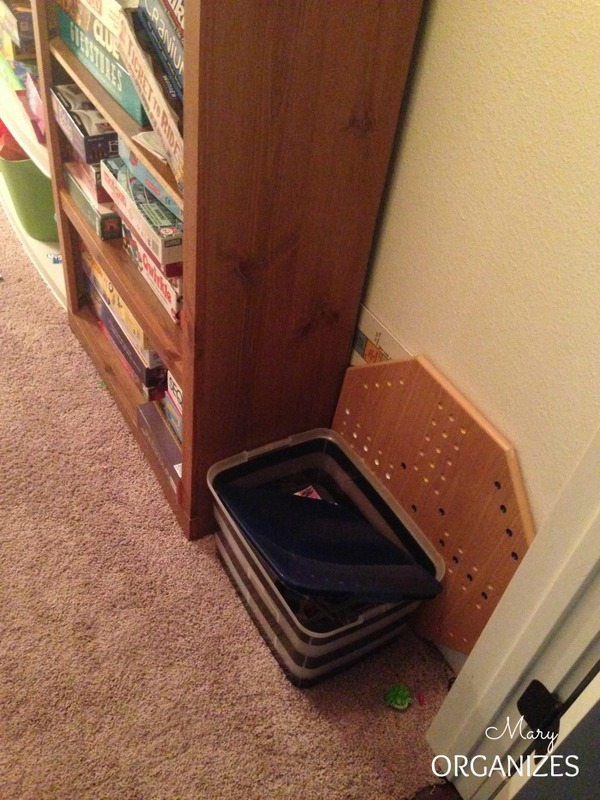 Whenever I find a game piece, I just slip it into this bin. Here is our Lucky Box. I started calling it that after I saw one of the awesome comments from THIS POST. It is interesting to learn how good it makes me feel as I get these projects done around my house. I’m finally getting done a ton of stuff that I had put off. 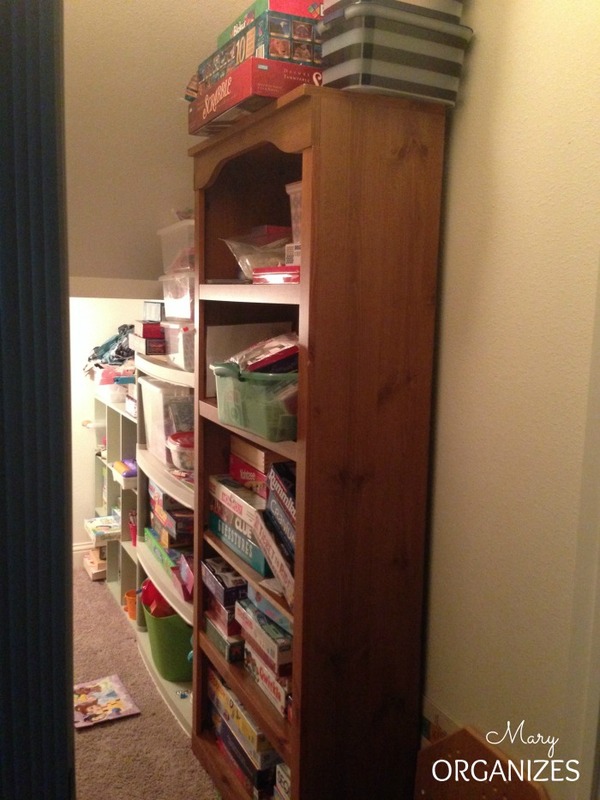 Like this closet, it is easy to put off things you’ve learned to ignore! Of course, it was way easier than I had pictured, I wish I had made this a priority sooner … but all things in their time. Here is to getting things done!!! What exactly goes into your 72 hour emergency kit? I think it is an excellent resource to have on hand but I have no idea what should be in it. Do you have a list or a site to refer me too? Thx. Google 72 hour kit and you will see a ton of stuff. I think I should do a post about what I put in mine. It is the stuff I’ve guessed we’d need in the first 72 hours of a real emergency. 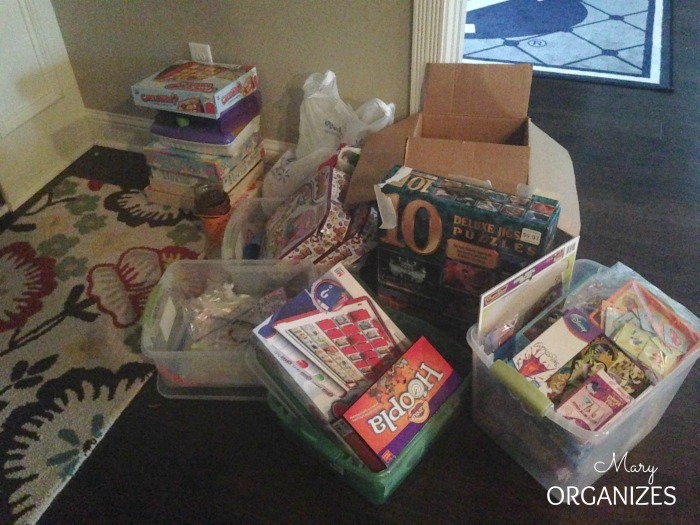 AAH -the Lucky Box is such a great idea! My almost-3-year-old is just getting to an age where I think this would work for her. Yes! The Lucky box is awesome. One of my secret weapons for keeping it tidy! 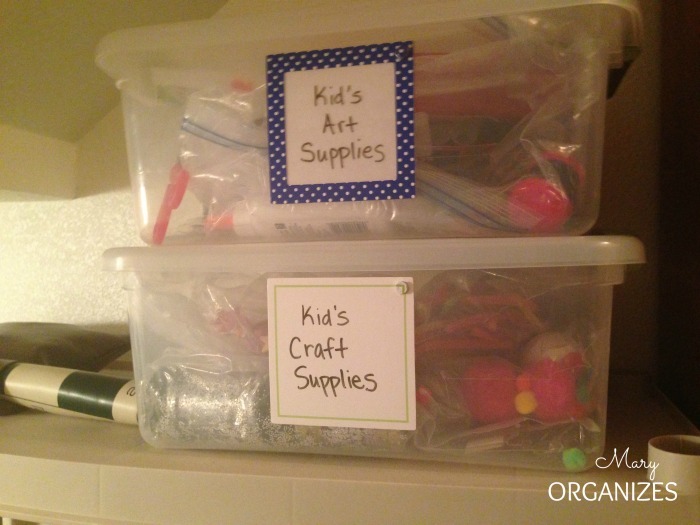 I love all of the pictures – you show so many great ideas for labeling, how you have organized and that you are reusing what you already have. 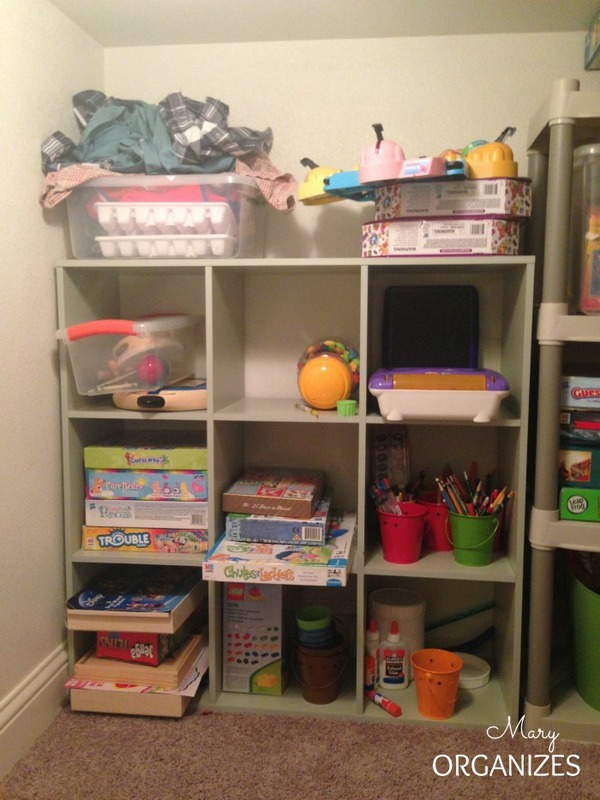 I would love to just go buy all new shelving but reality it is a huge waist of $ when you can usually find a shelf you might not be using or not utilized to its full potential. You have definetly motivated me this morning…thanks again for all the pictures and nice work! We have a bin at the bottom of the stairs. I love the idea of putting it out of sight too! And the lucky basket=brilliance. 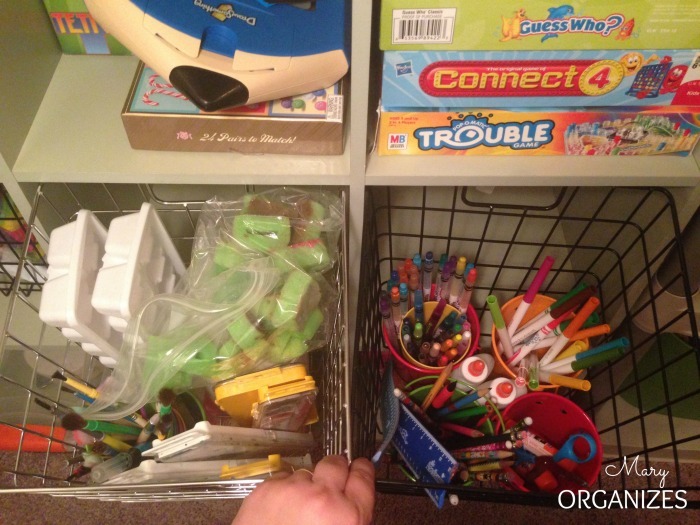 I really appreciate that you share realistic ideas of how to make a more organized life attainable. Thank you!